As I become less motivated to keep cleaning my coup, I continue to find bizarre items that inspire me to continue. I've had a few minor breakdowns as tasks that should take minutes take days, but these odd gems are the seeds that keep me pecking for more. Here are a few more of my serendipitous finds. 1. Perfil Magazine's May 2011 issue. 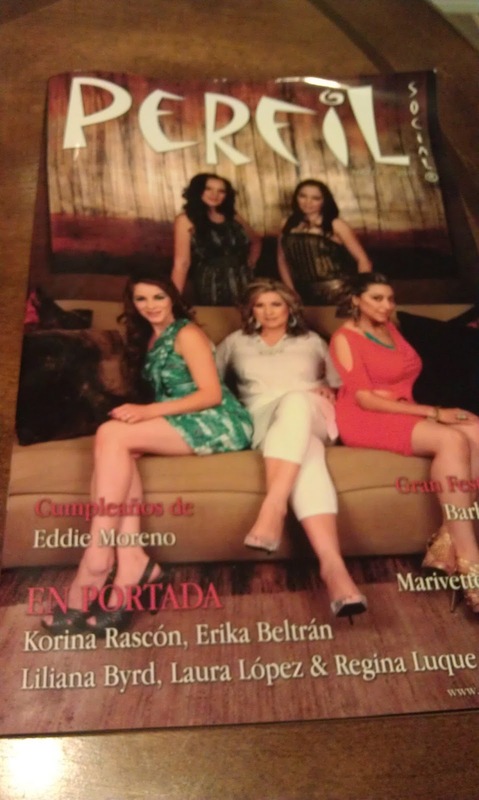 I have a feeling a few of you may not be familiar with Perfil, Tucson, Arizona's publication highlighting the Hispanic community's (Okay, the whole city's) events through glossy photos. 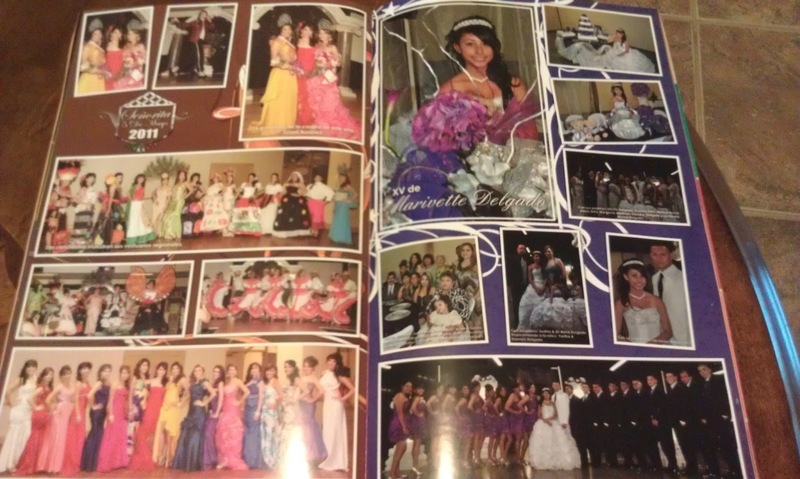 The magazine is written in Spanish and highlights quincineras, birthday parties, and Cinco de Mayo. 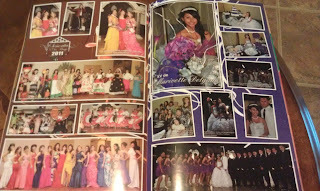 It's yearbook style, with photo after photo of big groups wearing all sorts of colorful outfits that scream, "fiesta!" But since I haven't been to Arizona since 2008, I have no idea how Perfil meandered its way to one of my drawers in Florida. Now I want to crash a quincinera. 2. Unopened bubbles. I think this came from one of my mom's lovely and random care packages while I was in college. Along with stuffed animals, snacks, tea bags, and stamps, mom would pack the occasional toy for my friends and I to take a study break. While I wasn't expecting bubbles, I thought the opportunity would arise where some bubbles would really add to the social gathering. It was Eckerd College - we had a blast at any campus event with some free beer and a loose, vague theme. Chinese New Year was a bowl of egg rolls and startling fire crackers. Valentine's Day was a bowl of egg rolls and some teddy bears. Unfortunately, I graduated without adding bubbles to any social event. I packed those bubbles away until now and I think my best bubble days are behind me. I'll be donating them so a six year old can enjoy them more than I could in my 20s. I should've brought the bubbles. 3. Performance-enhancing Sports Psychology CDs. When I returned to skating at an igloo in Florida, the environment was different than what I'd accepted to be normal in Colorado. On my first day at the igloo, people were welcoming and introduced themselves. No one swore at me on the ice. And to this day, no one in Florida has called me a "pathetic loser who would never amount to anything." It's still strange to me. But along with the pleasantries, I witnessed and experienced some different coaching techniques. I skated sessions with skaters wearing masks, ankle weights, and/or parachutes. I blamed my fear of heights to opt out of these tactics, but I did sit in on the weekly "mental fitness" class, where we listened to a useful but montone sports psychologist about staying mentally focused and strong in competing. We all took away different things from the class, ranging from a full note pad to an hour nap. I was happy to get a copy of the CDs for whenever I needed them, but unfortunately they got tucked away safely with the bubbles. I will not be donating them to a six year old. 4. A $20 Wal-Mart gift card. This seemingly isn't odd, but it is when finding it in a 6-year-old Easter card. This is one time where I really profited from my pack hen tendencies. I want to smack my 2007 self for being so careless. Thanks, mom and dad. Happy Easter 2007. 5. 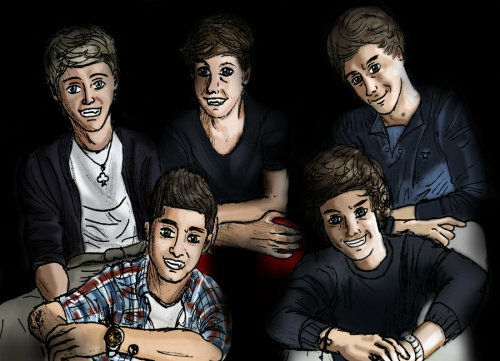 One Direction tattoos. These weren't a surprise. They're a cherished gift from a friend on tour this year. I put them with my necklaces and bracelets; I'm just waiting for the proper outing and venue to have British boy band faces on my skin. It said they were temporary. Did you read Weird Things In My Coup Part I? YOU HAD BUBBLES AND YOU NEVER OPENED THEM? How can I ever trust you again?